You are visiting New York? You want to visit the Statue of Liberty? But how to access this island, at the Manhattan port entry? Even in the unlikely case you have access to a boat, you can not get there on your own initiative. Berthing rules on Liberty Island are strict: Your boat must be empowered to be able to get there. Which is physically impossible because the concession was given to a private company. So you need to go through it to have the pleasure of admiring the port more than 90m high. 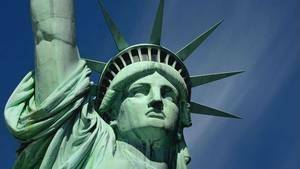 The rest of this page gives you all the information to visit in good conditions the Statue of Liberty. It is society "Statue Cruises" who has the right to take you there. 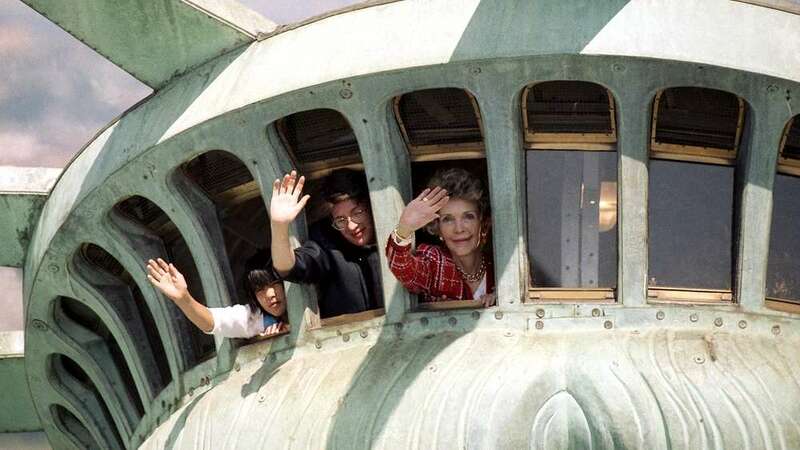 They have two departures: The principal is at Battery Park, extreme south of Manhattan, the other is in New Jersey, at Liberty State Park (It is a museum of red stone and gray roofs). The route is the same but reversed. 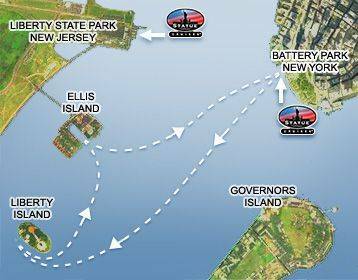 So you go from Battery Park to Liberty Island and Liberty Island to Ellis Island, Ellis Island and finally to your starting point. The two maps below were recovered directly from the Statue Cruises website, the easiest way is to rely on them. If you start from Liberty State Park, you will begin by Ellis Island. The journey then is a little shorter, Liberty Island is closer to New Jersey than Manhattan. Note that you do not need to do both islands, you may very well turn back after visiting the island over. During the trip you will see the splendid view of the skyline of New York, the famous "New York Skyline". You can only advise to open your eyes, it's beautiful. But it's still day visits since there will always be at night, or even in the evening. 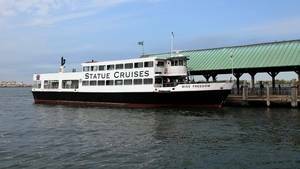 One of many company's vessels 'Statue Cruise', which deals to route visitors to Liberty Island. Reservations are on here, or telephone, as shown on this website. Both islands are accessible every day from 9h to 17h except December 25. The ticket office opens at 8:30, but do not expect to quickly arrive on site. The Statue of Liberty is a national monument, so there is a strict and time-consuming security control makes you much good from 30 minutes later than you actually expect. And there, there will be other controls. So arm yourself with patience, you'll need it. You have three options for the visit. The cheapest is the "only reservation", which corresponds to the delivery on site, provision of audio tour and access to everything is free on Liberty Island and Ellis Island, including visits the immigration museum. that's not bad. 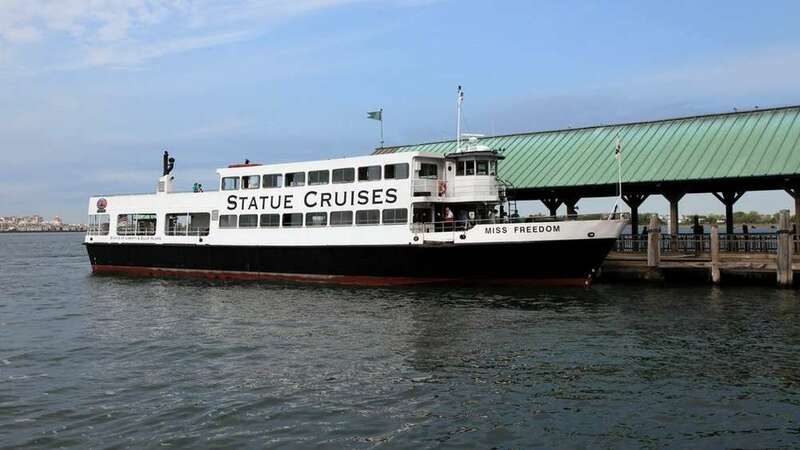 But the "Reservation with Pedestal Access" is better since it gives you access in addition to the base of the statue, which contains the museum, the old torch, the view of the internal structure of the statue through ceiling especially glass gazebo that offers a 360 degree view of New York Bay. The third type is the reservation "Reservation with Crown Ticket" that gives you the opportunity, in addition to board the statue to the crown. Another rather interesting experience for those who can climb the 354 narrow steps. Regarding rates, it is $ 18 per person for the voyage, 18 for the visit of the monument, and $ 21 to go up to the crown. (2015 price for an adult) Of course, the rates currently in force are available on the official website of Statue Cruises, any change is possible, between the time of writing and when you read them. You have more information footer on how to purchase tickets. We must distinguish between the two islands. 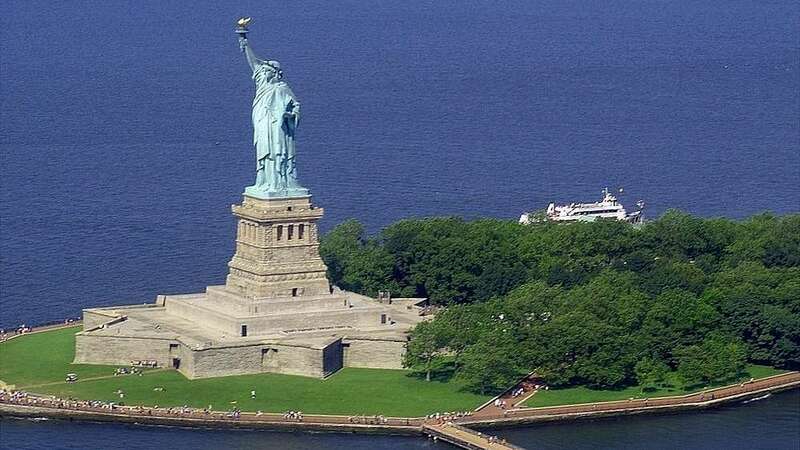 Liberty Island can be visited on foot, the island is not very large. Guests have access to Fort Wood, the fortification which was decommissioned in the nineteenth century in order to build the statue. From inside Fort Wood is the monument itself, ie the base. When we say that we visit the statue, we always talk about all socio-inside the statue (but down). It allows to see the metal structure. It is also possible to continue the tour going up to the crown, which offers a panoramic view of New York Bay. It is therefore of three distinct sites, the strong, the base and the bottom of the statue reached the fort, and the crown reached the base. 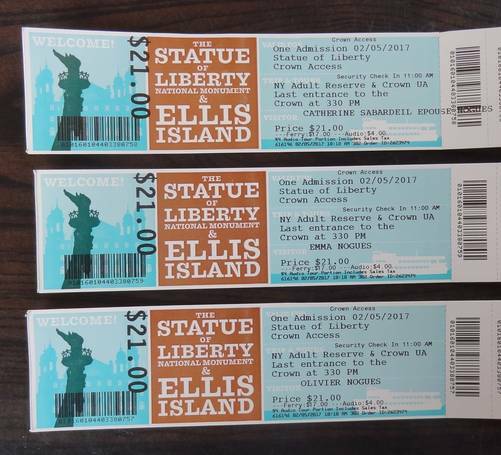 Admission tickets are independent of each other, so there are 3 tickets: One way, visiting the statue, access to the crown. Ellis Island, she has a museum of immigration. Both islands have in common the fact that they are very tourist. We find something to eat, what to shop, relax, etc. Attention ask, it is possible that certain items described below is not open to the public temporarily. See also: Narrative of a visit. General view of Liberty Island, Fort Wood, the pedestal and the statue of Liberty. The island is not very large. It is oval and consists mostly of beautiful lawns and some administrative buildings. In the south stands the 11 branches of Fort Wood, from which the base was built. Stroll quietly on the island, north side it offers a nice view of the skyline of New York, a little far it is true. Liberty Island is 1.6 km from neighboring Ellis Island, 600 m from Liberty State Park and 2.6 km from Manhattan, all in a straight line. You will arrive on a dock sheltered from the sun, which is already friendly summer because the wait can be long. Then you go to the pier feet high, it is not long to walk. Basically, the landing piers and administrative buildings. We can see a path that allows to tour the island, quietly. And in the foreground, of course, the statue on its base. The ferry drops passengers at the arrival jetty. Those with tickets to go up to the crown are encouraged to come forward with the information center, because after proving her identity by an official document containing a photo, guards forged visitors with a green removable strap handles for easy the recognition of persons who can climb it. These same guards who will tell you the exact time at which you can climb because the head of the statue can not hold a lot of people at once, they are forced to make a precise schedule. Free. This is the only thing to do if you do not have a ticket to enter the base. The island is large enough it allows you to walk quietly and offers a wide variety of views on the statue, Fort Wood, and also the skyline of New York. Shows off Ellis Island, and maritime traffic in the bay. Casually, this visit is not bad at all and we can understand those who do not wish to enter the base, just this walk is worth the look. Guided tours are organized, but we must find out if they can be made in French, it is not safe. The audio guide will show you the secrets of Liberty Island, such as at what time she changed her name, which was what it was used to host the statue. The tour continues in the shade of the trees by the discovery of five statues tributes to personalities who built the statue. Free. 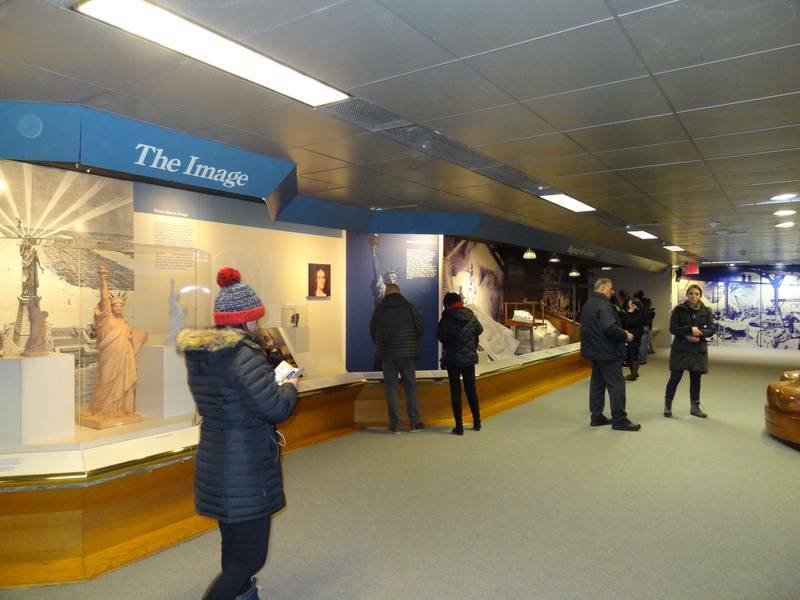 On Liberty Island, by going to face the statue, the visitor comes across a row of 5 statues depicting key figures in the history of the monument. 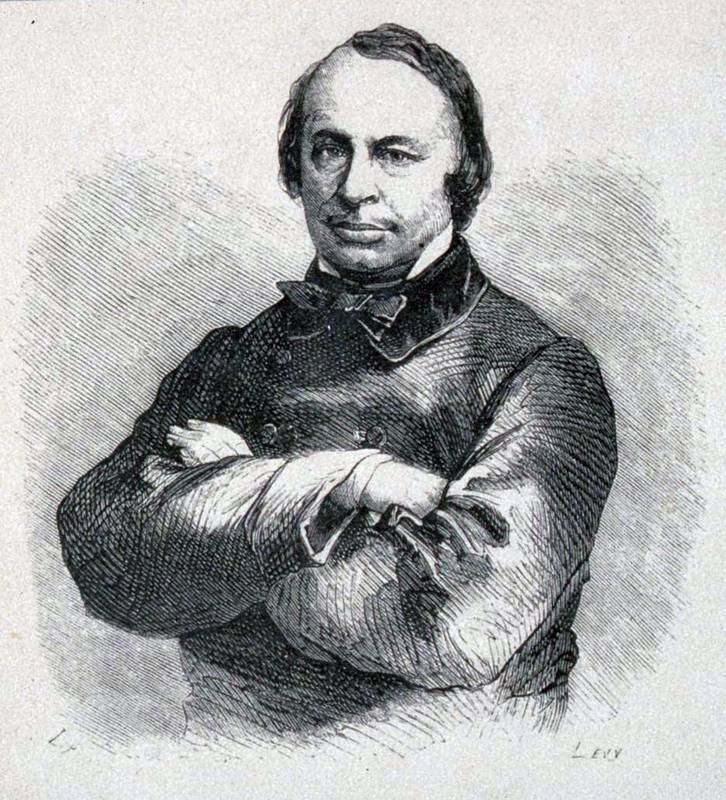 It has Edouard René de Laboulaye, a French historian of the United States. He was also a lawyer. 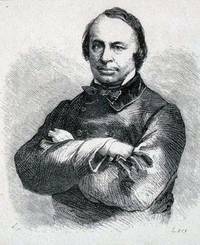 It was he who launched the idea of ​​building this monument. The second statue is also a French, Frédéric Auguste Bartholdi is the sculptor, a friend of Laboulaye. He had a desire, to create a gigantic work, able to compete with the wonders of Egypt. 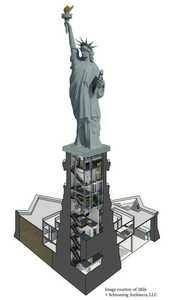 Her colossal statue project at the entrance of the Suez Canal was diverted to make the Statue of Liberty. The third character is the designer of the internal structure of the statue, Gustave Eiffel. It shall be known thereafter by its ability to build a tower more than 300m wrought iron in the heart of Paris for the Universal Exhibition. These three characters were complementary, since one was an intellectual, the other an artist and the third was an engineer. Between them they had the skills to transform a vague idea of ​​offering a friendly country together with a more general notion of freedom in a real artistic work. This trio is completed by two other characters, those Americans. The first is Joseph Pulitzer, famous journalist of her time. He earned her statue because he used her newspaper, the New York World, US funding for the base, allowing to save the project. The last statue is Emma Lazarus, who wrote a poem - taken at the feet of the statue - which magnifies the Colossus. This poem was used to popularize the statue project and participated in its financing. Entrance fee, included in the ticket of the monument. This fort was built between 1808 and 1811 it was intended to protect the port of New York. In 1937 it was demilitarized. The asteroid is a French invention of the seventeenth century, it is Vauban who created it and the idea has been imported so far. The strong one is very near the statue, which stands 45m above our heads. Visitors can walk on the embankment, which is the "roof" of the fort. From there it is really at the feet of the base, very difficult to distinguish the statue so we are close. The impression is striking. We do not deny that come here and not have tickets to get a bit frustrating, but to have foreseen well in advance. Warning, there is another access control at the entrance of the base. Once passed, the first thing the visitor sees, these are boxes for collecting donations for the maintenance of the statue! 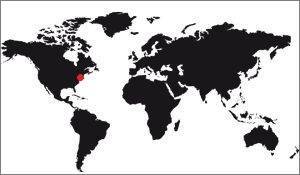 We can say they do not lose the North Americans. Admission fee: $ 18 in 2014. This is the main tour, one that everyone will be when on site. The monument is inside the base, which is made on the lower part of the museum and on the upper part of the various viewpoints which gives a beautiful view of New York Bay. Map of the statue of Liberty. The first room in which between the visitor is square, wide, dark. In the center is the original torch of the statue, which was set up by Auguste Bartholdi in the nineteenth century and was replaced in the early twentieth by that which we know today. The difference is its design, the 1886 is a kind of mesh metal plates while the recent is a form stepless. Moreover, Paris has above the Alma bridge a replica of the torch. This room has a pretty large balcony that runs around the room. It should go up to have an overview, then visit continues with the presentation of a copy of the face of the statue, copper too. It is isolated, probably best be seen. What shocks the most, beyond the sheer size, is the color of copper. The statue, which is oxidized with time, has a gray-green in contrast to the copy of this dark orange. The windows of the Museum of the Statue of Liberty, located in the base. Following the visit is the main hall of the museum. It is also an elongated room dark enough, alas crowded the busy days, and which have historical pieces in windows positioned on the main walls. Other windows are placed at the center of the room, forming a kind of transparent wall. The stream of visitors made it naturally follows an interesting educational trail. You will see first large photos of Gaget Gauthier and workshops, the famous Parisian workshops where the statue was built. These photos, which are found everywhere (including this site!) Shows in full screen workshop activity. There are also pictures of the installation of the statue in Paris, step by step. There we can see the metal structure of Gustave Eiffel, gradually covered with copper envelope Bartholdi. In the center of the room is a beautiful model of just over 2m high statue and its pedestal but the statue is open on its back, showing the Eiffel structure. The effect is stunning, we understand how it is designed in a glance. Almost facing this window, another window shows two pedestals: one is a copy of the existing one, the other is a project that was abandoned, it is cylindrical in shape and resembles him still a little. More interesting, the museum presents templates that were actually used, particularly in one ear. These wooden jigs, very strong, served to hammer the copper plates to deform them until they take shape. The challenge was to make these templates, which were reproductions of negative life-size plaster casts themselves being enlargements of a plaster model of high 11m, himself magnification of the original statue of 1m20! It was quite a tour de force to achieve error-free wood to these gauges. 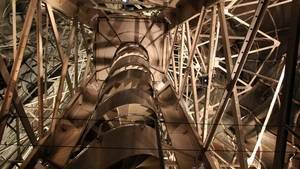 View the interior architecture of the Statue of Liberty, its staircase, its structure. Once past the museum, you are on the 2nd floor of the pedestal. There are still 7 other levels before reaching the top of the basement, highlight of the visit. There you have two choices. The elevator, convenient but usually crowded, or a wide staircase that rises to compensate for offset on 7 levels. It is recommended to take the stairs, you go at your own pace and you can stop at any time at your choice. Several of these levels have an exit to the outside, allowing a lovely view of the port of New York. The more you climb, the view is more impressive. Caution to the wind, if it blows hard, it will curdling bones. By lifting the bones you will see stairs and steel beams in the great void above your head, the whole infrastructure that has been mounted in 1984-1986, during the renovation of the statue, to prepare its centenary. After a moment, the staircase is narrow, the great grand landings become narrow stairs, climbing continuously. There are still some small platforms to stop, history there has never plug in case of slow some tourists. 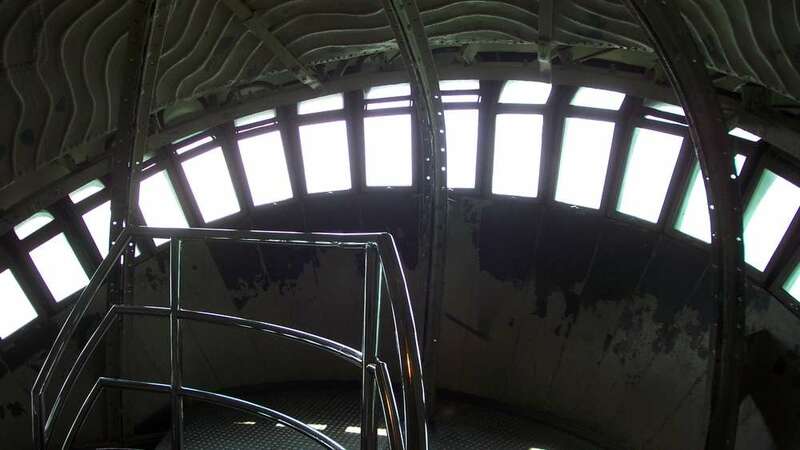 The seventh and final level provides an outdoor gazebo, a sort of narrow balcony that runs around the base, allowing a 380 ° view across New York Bay, and that at 50m above sea level. It's really impressive. Looking down one sees the strong Bedloe, which supports the base. Finally when the visitor is on the top floor of the stand, he will find that the ceiling of the room is glass, revealing the inside of the statue. 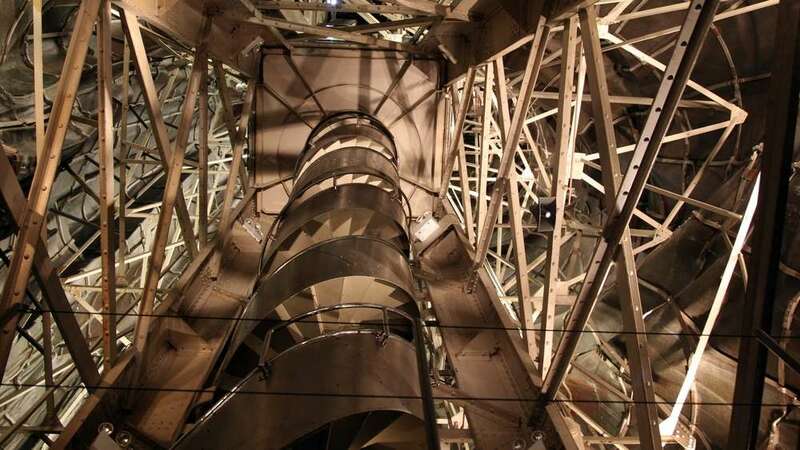 We see perfectly well all the metal framework designed by Gustave Eiffel, with junction points between iron and copper as well as the spiral staircase rising to the crown. It's pretty impressive. You still have to know that wrought iron beams Eiffel were completely redone in 1984, replaced by a stainless steel structure on the occasion of the great works of 1984. More detail about the visit of the momnument, click here. Admission fee: $ 21 in 2014. It's possible, but beware: the staircase that leads is 354 steps, ie half of what it takes to climb to the second floor of the Eiffel Tower! So be a minimum in good physical condition to embark on this little challenge, especially as the staircase is narrow, spiral. There is always waiting to go up, but the guards organize waves of tourists, up to thin traffic. By cons, at the top, the view is magnificent, you can see 180 ° New York Bay, the ocean, the skyline, Brooklyn Bridge, part of Brooklyn, Staten Island, etc. Looking up towards the arm we see the torch with her little barrier protection. It's crazy to think that the public was allowed to go up there, until 1913. Besides when you arrive at the crown is seen starting another staircase leading to the torch, but of course it is closed to the public, helmed by a door. Looking at the other side, down, we see the tablet and its famous inscription "July 4th 1776" in Roman numerals. View of inside the crown of the statue. And so the visitor will not be disappointed, we must also say that the crown has 25 windows rather small, the largest being only 50cm high, so do not expect a wide panoramic view, but rather to a set of small views. Other useful information: from 30 to 40 people can ride together in the head of the statue, after the stairs and the little room up there, are full. That is why a quota has been set, hour by hour, and that the controls are strict. If you arrive late, you lose your place, and your money too. Fortunately buying your ticket you will learn about when you present to the dock while calculating control time at the checkpoint did. Convenient. In summer, we can only advise you to book your place on the Internet. On site, it would be surprising is left, especially after 10am. Moreover, as the winter you should reserve a few weeks in advance, it's safer. The Internet reserved tickets are removable at the counters, on departure. To be confirmed by the company, which will tell you what if this is not so. Free. This island is interesting only for the "National Museum of Immigration." 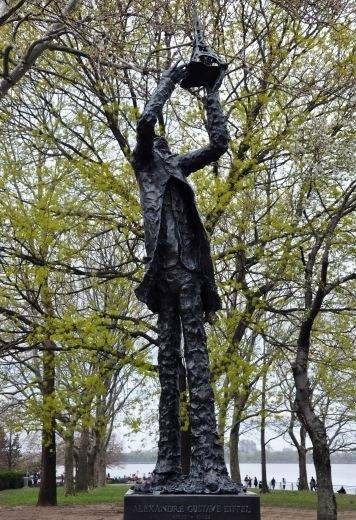 It is dedicated to the millions of Europeans came to the United States through the port of New York, between 1892 and 1954 mainly. An estimated 12 million immigrants. Ellis Island served as the US front door, there was the formalities, we are undergoing a medical examination and possibly quarantined we stayed there. Until 1930 it operated at full capacity, then he lost interest over the years. During the 2nd World War retention buildings have served as a prison, before reopening as an administrative center for immigration until 1954, again. To date the center closes permanently. It became a National Monument in 1965 and will be renovated and turned into a museum in 1990. 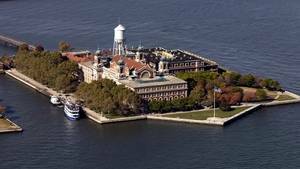 To an American, Ellis Island is very important. If you want to see how things were going, remind yourself of the immigration scene of the young "Don Corleone" in the movie "The Godfather 2". We see how they passed the health inspection, even if it is short enough. The film "The Emigrant", Charles Chaplin, is more complete. Here we are on the way to America. Where is it? I do not know but it's far. " This anonymous sentence is displayed in the museum of immigration to Ellis Island. Ellis Island was the last hurdle, the last step before reaching the hoped-America. From 1892 to 1954 they were some 14 million to land here after a terrible and long crossing. Italians, French, Russians, Irish, it was all over Europe who landed in that red brick building. For most men, but also women and children. 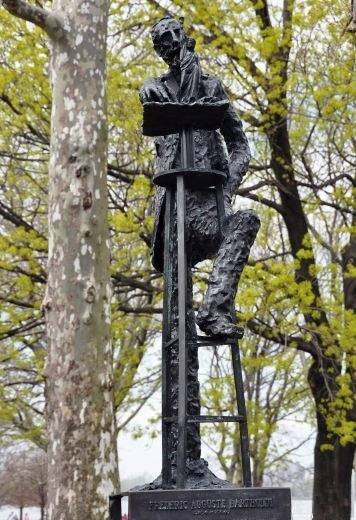 Annie Moore, Irish 15 year old, was the first to set foot on Battery Park on 1 January 1892. A statue pays tribute to him in the hall of the museum. After the test of the crossing, waiting at the immigration center was formidable. Loaded with suitcases, baskets or small backpacks, entered the arrivals baggage hall, now reconstructed in the great hall of the museum. The huge Registry Room, the recording room, hosted up to 5,000 people per day, scheduled to undergo implacable and humiliating health checks. "Certainly, if he could fathom our hearts, he would have seen the wound," wrote the poet Avrom Reisen, referring to the physician in charge of the inspection. Despite the severity of center staff a small part of it is repressed potential immigrants, most light admitted through the testimony of a parent or friend. The hope of a new life was so near. The third room of the museum contains personal belongings of immigrants, and we discover documents proving the will not go back: Sewing machines, iron, wedding shoes, etc. Within the enclosure a wall of honor facing the sea. 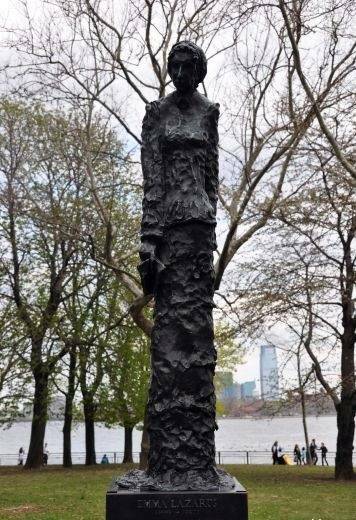 Along thirty meters, covered with a copper plate, it carries no names of over 200,000 immigrants passed through Ellis Island. This is a moving place of pilgrimage for many of their descendants still representing almost 40% of the population of the United States today. Ellis Island, the island of the sanitary control during the twentieth century, for immigration candidates. Tickets can be bought on site or online. You can buy a single ticket, a ride with access to the monument or path with access to the crown. The single trip permit you to visit the islands, the immigration museum on Ellis Island, and you will have audio-tour included in the price. The second ticket you can visit the monument, ie its base, the museum, the gazebo and the view of the statue of the structure. This is the heart of the visit and it would be a shame not to get there. The third option will give you access to the crown after the ascent of the 354 steps. But beware, this type of ticket is limited in number and generally, they are sold well in advance. You hardly find on the Internet. So do not expect to arrive on site and be able to mount the crown: Aside from a extraordinary stroke of luck, you will be told that he had to buy your ticket a few months ago. 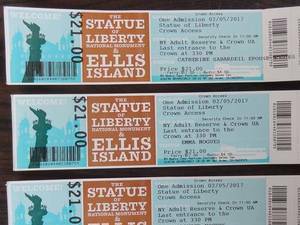 The access tickets to the Statue of Liberty, a precious document in New York. Here's how: Go to the first website where to purchase, ie here. Select your departure, and then click the type of ticket you want. Rates are on the site. Choose the date of visit, time and the number of people, and that's it. You will find that you can not book before four months in advance, or for more than 4 people. This is due, alas. You withdraw the tickets at the monument "Castle Clinton National" (Shooting normal selling, south of Manhattan) or "Railroad Terminal Building" (The New York Central Station). Of course the more you take in the morning, the less you'll have the world during the visit. The corollary is that from 14h you will not have enough time to visit both islands: From this hour you know you do not visit only one. See as well: Passes to visit New-York. Do not panic, the two islands are very well equipped for tourists. They have both many restore points (of "fast food", of course, one is in the United States ...). The boats also offer to drink and eat, but you can bring your own food. Attention coolers are not allowed in the monument. And you clutter is possible, but not desirable, due to congestion precisely and police controls, necessarily longer. There are also souvenir shops on each of the two islands. Visit the normal time is 5 hours. There is the way to Liberty Island, visits to the island, the fort and the monument, then transfer to Ellis Island, visiting the museum of immigration and return. Those who ascend to the crown will have their extended visit, but difficult to say by how much: It depends very much on the number of visitors, the delay in the day, the speed of previous visitors, etc. If you get the chance go New Jersey (Liberty State Park). The waiting time for boarding is usually shorter and the boat ride is shorter. As against going there by car is more convenient because there are parking spaces, which is not at all the case in Battery Park where to go by public transport. To get to Liberty State Park, take the toll road in New Jersey to Exit 14-B and follow signs for "Liberty State Park." If you prefer, and it can not be wrong, you can take the water taxi "New York - Liberty State Park" at a cost of $ 7 each way. It takes approximately 10 minutes and you already begin to crisscross the bay. Also note that minors must be accompanied by an adult at least 25 years old to board the ferry. Below is the door closed! If it seems obvious that the Statue of Liberty can be visited today, one can ask the question whether it has always been the case or not. 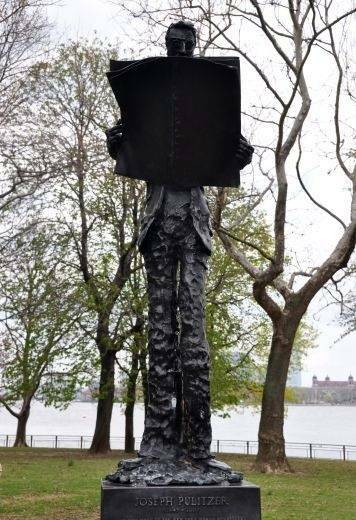 The answer is surprising: not only was she visitable even before its erection in New York, but it is only recently that it was the most closed to the public! We are October 28, 1886, or 110 years after the independence of the United States, due to the construction of the statue. Officials inaugurate ostentatiously, 600 guests, a huge popular affluence and pride mark these days of festivities in New York. From the days of the statue can be visited, the pedestal at the top of the torch. The statue was immediately a hit. During the first two weeks that followed the inauguration 20,000 people had already visited. They were 88,000 the first year, one million in 1964 and three million in 1987. Today there are between 3 and 4 million visitors, according to years. You can visit different elements. There is the island itself, the base, the crown and torch. The latter could be visited until 1916 that it was closed due to risk of falling. The first visits took place long before the statue is in place. Indeed, Gustave Eiffel built her iron structure forged in the workshops of Nanterre, and partly also in the seventeenth arrondissement of Paris. As has long been the tallest building in Paris he pay rise of right to admire Paris high. We can say that this was the first visits of the Statue of Liberty. Subsequently, manufacturers missing money, Bartholdi had the idea to send the first part of his work on site for the Centennial Exhibition, which took place in 1876. The US could see the statue progressed, and a few dollars expended to visit this strange disembodied arm. Head, she was shown to the Parisian public in 1878 for the Universal Exhibition. Again, she visited via a high staircase 43 meters. Be aware that the geopolitical context of the United States has an influence on the possibility of the Statue of Liberty visit. Indeed, being a global symbol of freedom is perceived enemies among Americans as a symbol of oppression, hence the need to monitor it closely. That is why it was forbidden to visitors from September 2001 to 2004. From 2004 the island was authorized visitors up into the pedestal. It was only in 2009 that we could again climb to the crown. Also in 2012 it was closed again, but to work this time. To this was added a fire escape and various equipment. Its reopening took place October 28, 2012 for a period of one day ... Indeed, the Sandy hurricane struck the US coast with full force, which forced him to close the site again until July 4, 2013, the day of the US national holiday.